So you or your community group or town are looking to build or restore the dunes along the beaches in your area, and you are looking for information to help you do a great job? The Dune Manual answers a variety of questions that we have heard from people and groups like you. It will include brief answers to those questions from experts in the area and links to more resources. Among the issues we will address are: permits and permissions, preparing a dune for planting, what to plant when, where and how; what not to plant, amendments to increase the success of your plantings, and sources of native plants for your restoration. We hope that you find this useful as you work to rebuild or build stable, attractive dunes to protect your home or community from future storm damage. Please take time to review this manual. If you have comments or questions please email Dr. Peter Rowe. Print copies are available upon request. They can be ordered at cost for $20 each. Please download the PDF form here, or contact New Jersey Sea Grant Consortium at 732-872-1300 ext 10. 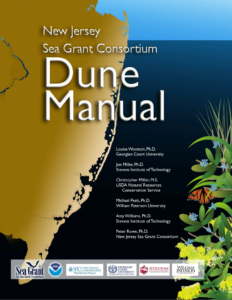 If you would like to be notified of updates to the Dune Manual and other news from New Jersey Sea Grant Consortium, please sign up for our newsletter here. 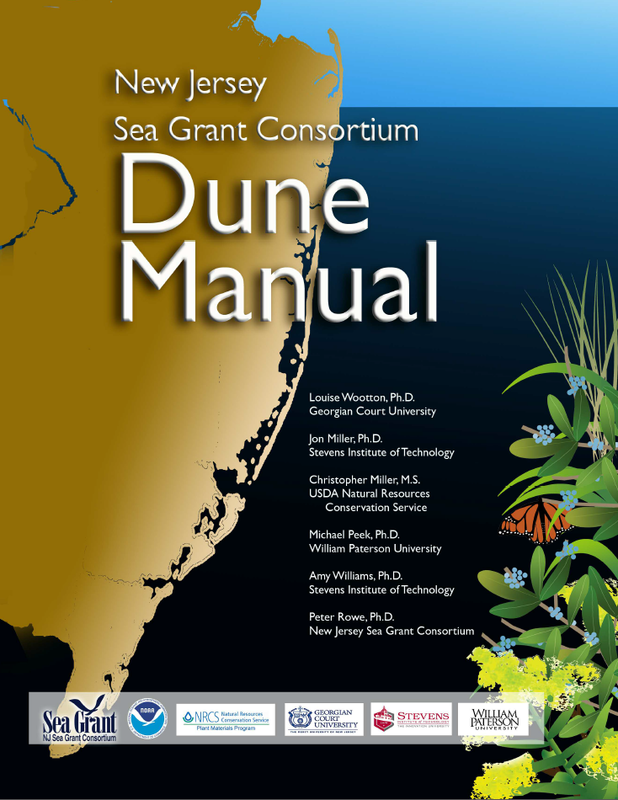 New Jersey Sea Grant Consortium also offers a Dune sign. It not only informs passerby to stay off the dunes but explains why. Municipal officials interested in obtaining these signs can contact the New Jersey Sea Grant Consortium at 732-872-1300 ext 10. 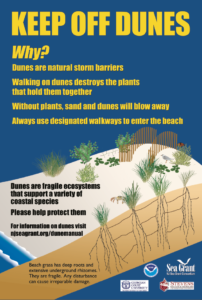 Lesson Plan: Why are Dunes Important? “Restoration: Dune It Right” curated by Dr. Louise Wootton of Georgian Court University. “Dune It Right” PowerPoint presentation by Dr. Louise Wootton.